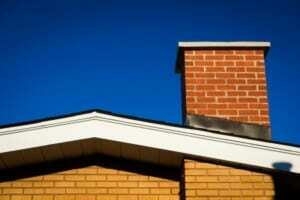 Why Do They Install Flashing on Your Roof and What Happens When Your Flashing Fails? According to knowledgeable Denver roofing companies, flashing has long been considered one of the most important part of a roofing system’s installation. With high quality flashing you can rest assured that your home is protected against the elements and can prevent water, moisture and ice from leading to severe damage to your interior ceilings, walls, attic and underlayment. What happens when your flashing fails? There are actually a number of things that could happen, and the damage might not even be visible at first. The flashing could fail during a particularly powerful thunderstorm or hail storm, or it could be damaged over time by heavy ice deposits and a clogged system of gutters. At first, you might notice leaks in your attic and on your ceiling, although by that time it’s possible that the inner supportive wooden frame that maintains your roof’s structural integrity might already have been severely affected by the water damage. The best way to find leaks and identify flashing-related problems before they occur is to practice regular roofing maintenance and call your local roofers at least twice a year to inspect your roof and gutters thoroughly. That way you can make sure that the damage caused by your flashing – which is also one of the most fragile areas of your roof – can be swiftly taken care of, and the flashing repaired.